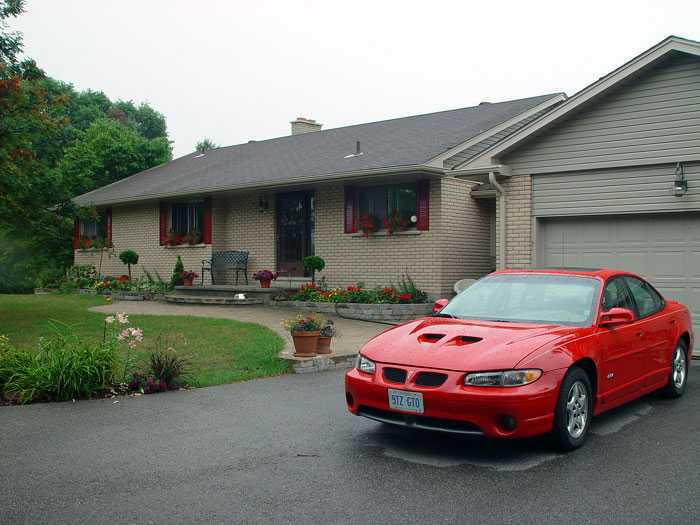 I bought my Grand Prix GTP in the fall of 1997. 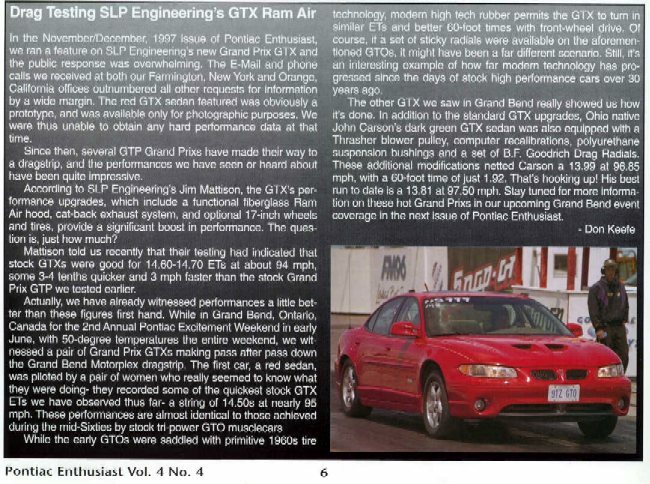 On Easter weekend 1998 it became the first GTP converted to a GTX by SLP (also know as Zeke's) in Montreal, Quebec . 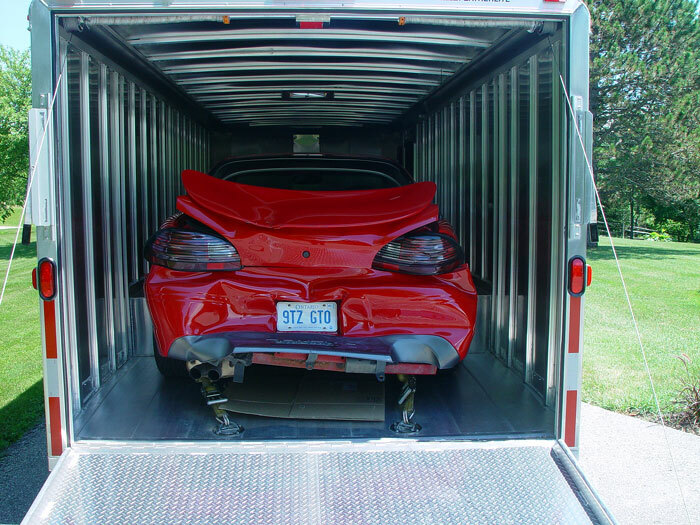 This car has killer looks and runs quicker than some of it's namesakes on the plate. 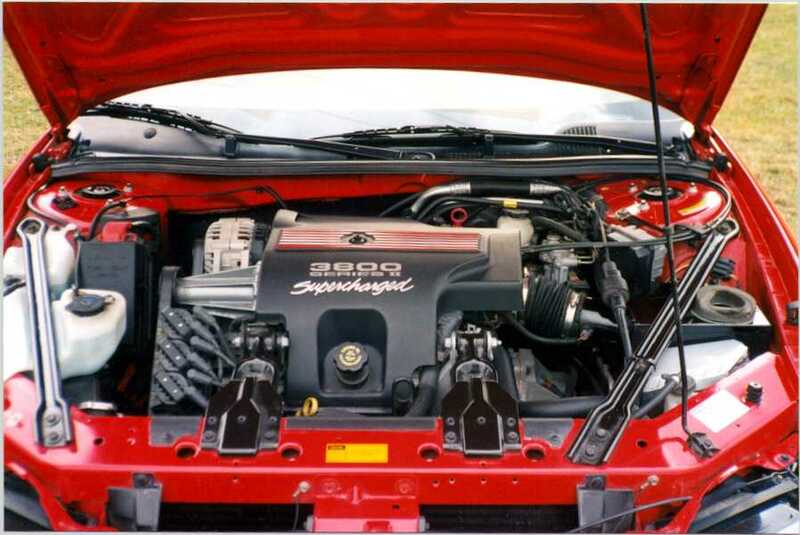 The conversion consisted of a new functional Ram Air hood, new air box and K&N cone filter that feeds directly into the supercharger with no bends. The air box is ducted into the hood and the fender. To help the transmission live a long and happy life I installed a B&M Supercooler. 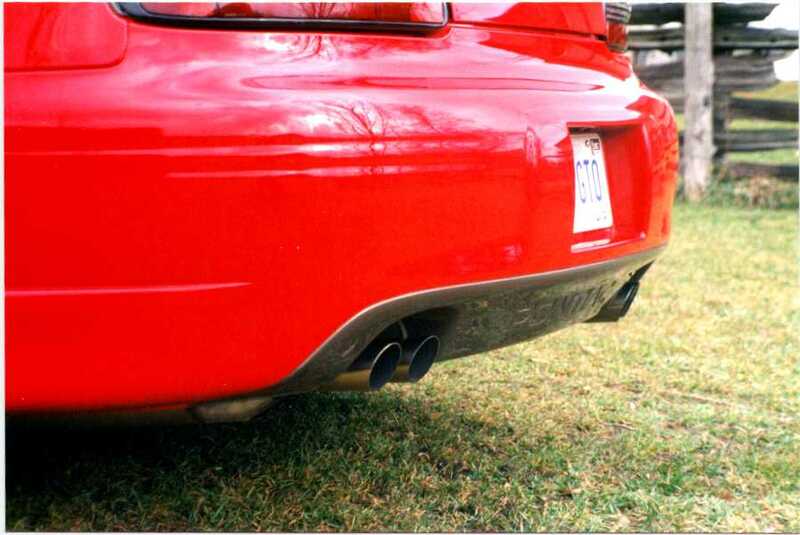 Also included was a new stainless steel cat back exhaust system - dual 2.5" with 4 outlets. It's nicely integrated and has a really nice growl. 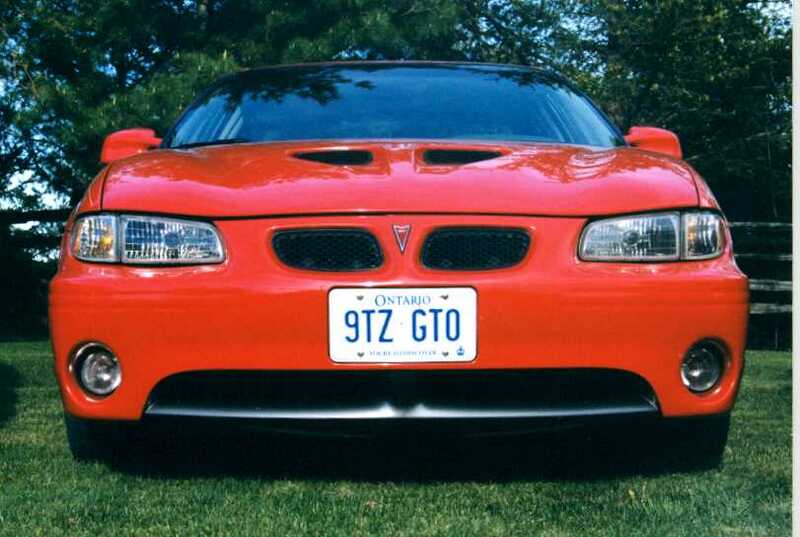 Being the first GTX in Canada it was featured in the July 98 Pontiac Enthusiast Magazine. 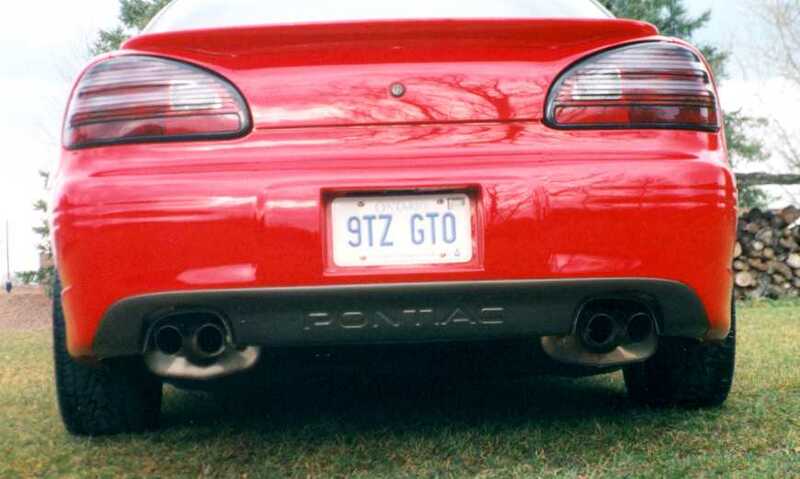 It was Pontiac weekend at Grand Bend Motorplex and my wife became bored while I was racing my Trans Am so she made a few passes in the GTX. It caught the eye of the editor of Pontiac Enthusiast, while my highly modified Trans Am race car was completely ignored!! Oh....she kept winning and winning, eventually losing in the final round when she went a little too quick and broke out after passing her opponent well before the finish line! Supercharged motors really like the cool night air! Six years and 230k km later it's still looking good and going strong! OUCH!! 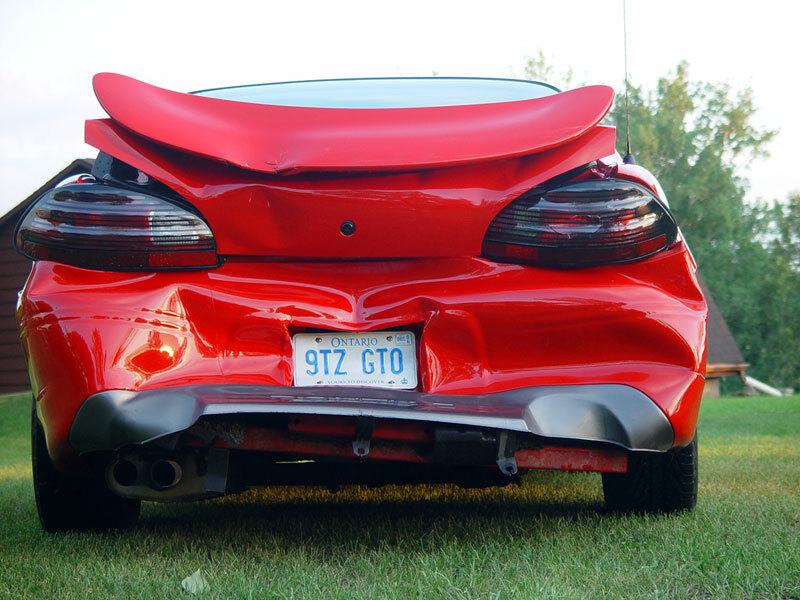 July 4th 2005 - an inattentive driver accidentally lands a knock out punch to the car with the biggest grin per mile factor I've ever owned. 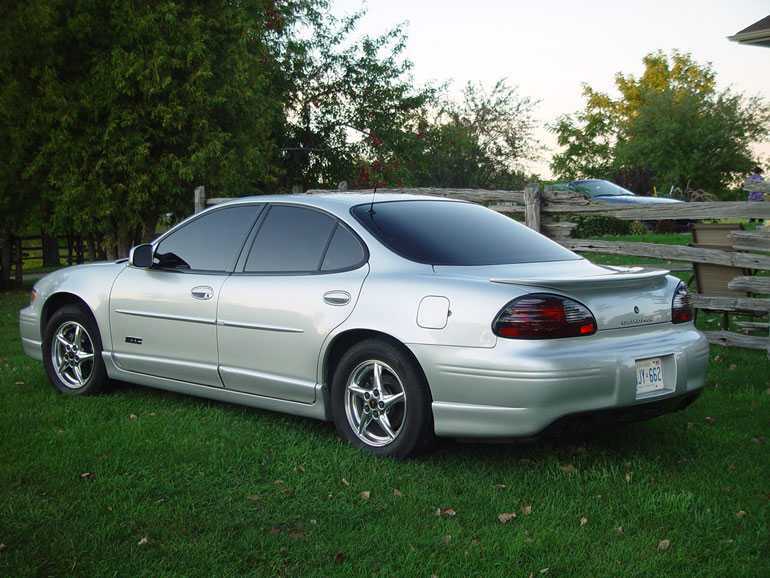 The replacement - I tried a new GTP with the Competition Group option and didn't like it as much as the previous model, so I bought a low mileage 2002! 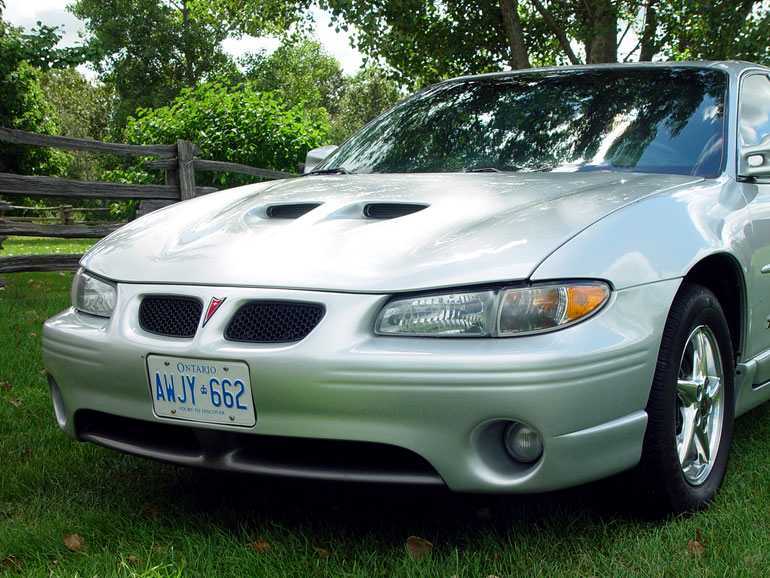 The "good" stuff like the ram air hood, air box and exhaust have been transferred over, the 9TZ GTO vanity plates and the GTX emblems probably won't.